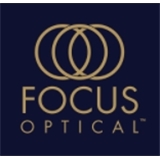 Focus Optical (The Woodlands) - Book Appointment Online! At Focus Optical, we strive to provide our patients with exceptional service and unique, high quality products. Utilizing advanced technology equipment, and offering the best frames, lenses, and contacts on the market, our doctors and staff are committed to improving our patients’ quality of life, by optimizing vision for their needs and preserving their ocular health. Very professional place. Will see Dr. Nguyen in the future!